Declan’s Finnians are the guardians of the Blarney Stone and the Nollag Gra Irish ornament means Christmas love in English. 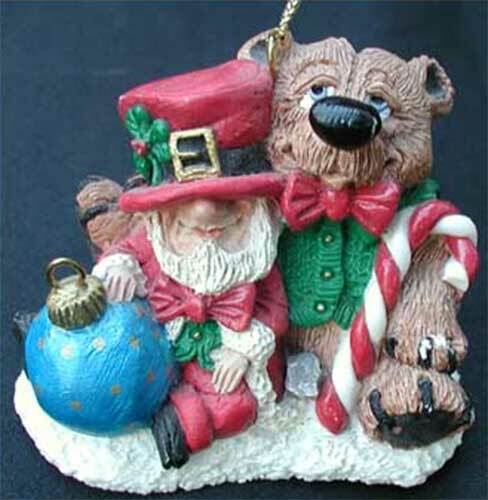 This Irish ornament is a collector’s item - Nollag Gra was originally introduced in 1997. The Nollag Gra Irish Christmas ornament is part of Declan's Finnian collection; each design features a stone from the same quarry sourced to build Blarney Castle. The Irish Christmas ornament is made of hand-painted resin and measure s 2 1/2" wide x 1 1/2" tall; there is a shamrock accenting the Finnian's hat. The Finnian Christmas ornament is gift boxed with a shamrock history card, complements of The Irish Gift House.